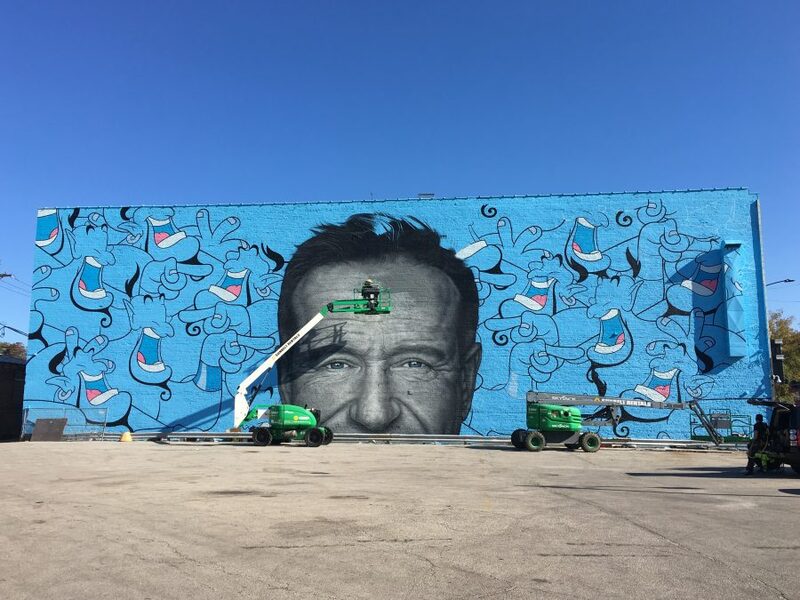 If you find yourself near Logan Square, off of Milwaukee Avenue, in Chicago, take a moment to explore the new mural celebrating the life and art of Robin Williams. According to TimeOut Chicago, "The expansive mural is the work of New York street artist Jerkface and New Zealand artist Owen Dippie... Jerkface is known for his subversive depictions of animated pop-culture characters, while Dippie specializes in hyper-detailed portraits." This Chicago mural comes right on the heels of another mural painted on Market Street in San Francisco. It's by Argentine artist Andres Iglesias, aka Cobre. Catch a glimpse here.